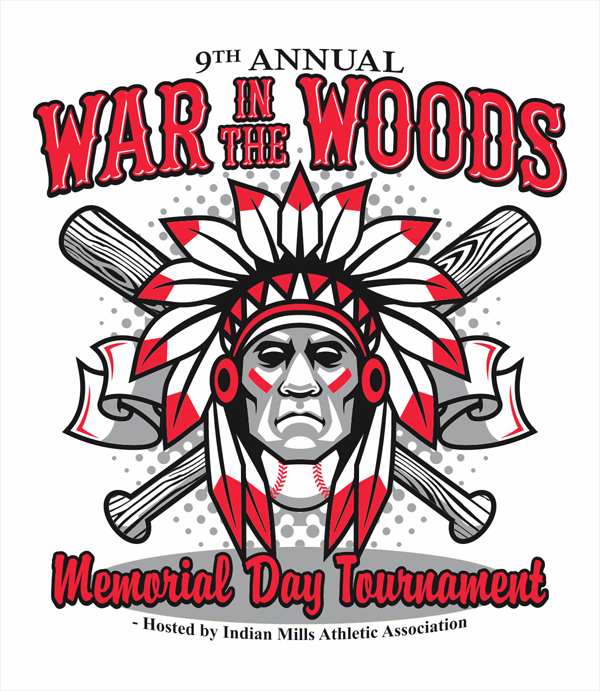 You can register for War In the Woods clicking on the link for our IMAA store http://store.imaasports.com. The new store supports Paypal or our Authorize.net merchant account for credit cards. The primary home for War In The Woods is www.warinthewoods.info, which is where you can find all game info as well as this registration info. Please don't forget to pre-order the T-Shirts at a discounted priced of $15. Sales on the day of the tournament will be $20. Cost Summary: 8U $475 / 9U-13U $575. 3 Game Guarantee (3 games pool play). Trophies for 1st and 2nd place. April 30th age cutoff applies. To see a list of teams currently registered you can click here. The 2016 War in the Woods Flyer is posted here.